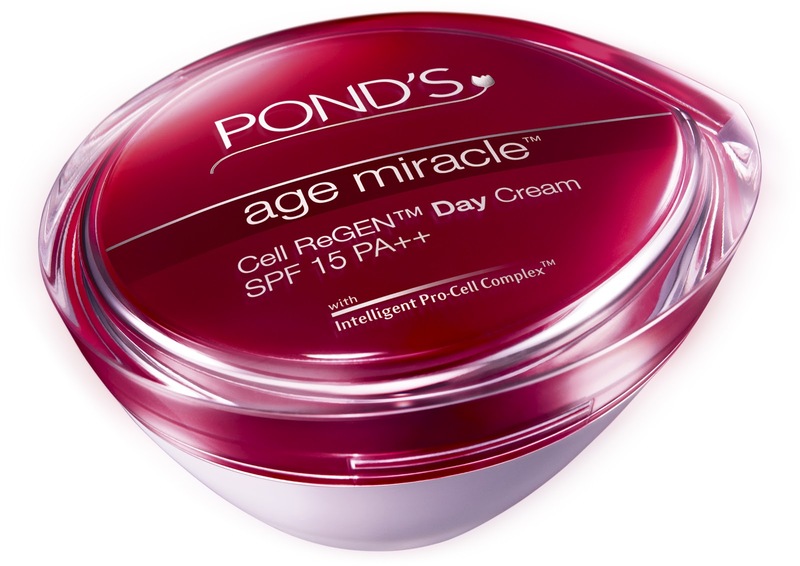 Turn Back The Clock with the New Ponds Age Miracle Range - Divassence! Born from a decade of cutting-edge research on the secrets of aging deep down at the cellular level in human skin, Pond’s Institute presents the next breakthrough in the science of aging – The revolutionary New Intelligent Pro Cell Complex™ technology. This potent combination of 6 Youth Enhancing Bio-Actives, actually makes your skin act younger, making it possible for you to turn back the clock & look up to 10 years younger. Now, isn’t that the miracle that you’ve been waiting for! As time passes, all women start to show the signs of aging on the surface of their skin, starting to fade the unique and vibrant quality of youth that is vital to beauty. 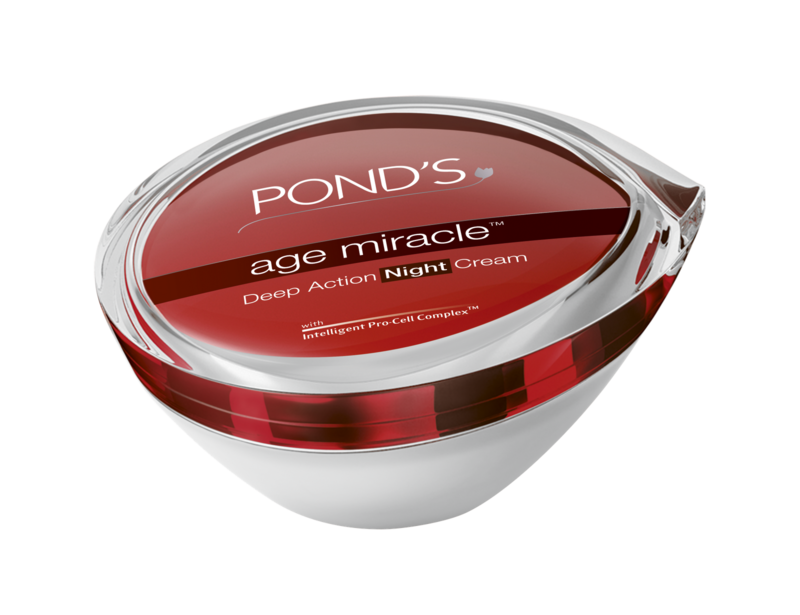 At Pond’s, we believe that youthful looking skin that is truly beautiful, is not about superficially fixing surface signs of aging and imperfections. We believe that it is only when the secrets of youthful skin are unlocked from within, that true beauty can shine through, with a joyous radiance that is full of life. This is the holy grail of anti-aging – the quintessential search for the secret fountain of youth, for all women who want youthful looking beautiful skin, no matter what their age. So how & where does one find the secret fountain of youth? Pond’s Institute has led years of cutting-edge research & collaborations with leading scientists, in understanding the mechanisms of skin renewal and aging at the cellular level, to answer this question. Skin science knows that when you are born, nature gives your body a finite number of stem cells, which have miraculous properties, and amongst other things, act as the ‘youth factories’ deep down in your skin. However as time passes, these ‘youth factories’ start to slow down and as early as 28-30 years of age, this starts to show on the surface of skin as the signs of aging. With these novel insights into the mysteries of aging deep down in your cells, Pond’s Institute has created a revolutionary breakthrough in anti-aging—New Intelligent Pro Cell Complex™, a potent system of 6 Bio-Actives that work together like a miracle. 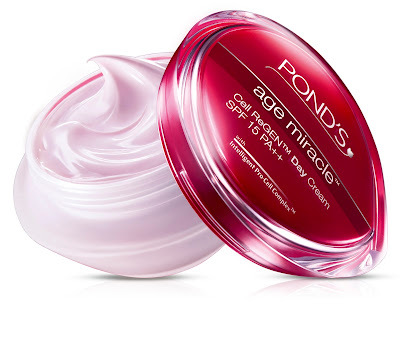 Available for the first time in New Pond’s Age Miracle, an anti-aging cream so advanced, that it gives your skin cells 3x more skin renewal power*, helping you turn back the clock and look up to 10 years** younger! The Pond’s Institute combined the power of up to 6 bio-actives to create the youth-enhancing miracle that is New Intelligent Pro Cell Complex™. The 6 bio-actives work in combination with each other and with the natural processes of your skin, to comprehensively ensure that age simply cannot catch up. CLA: Miraculous ingredient that stimulates skin cells, thus promoting faster cellular turnover. Retinol: Best proven ingredient that works within skin, influencing and enhancing skin’s ability to produce collagen and repair itself. Two Retinol Boosters: Work with each other to boost the efficacy of Retinol, accelerating and enhancing skin’s ability to act younger, through epidermal rejuvenation. Alpha Hydroxy Acid (AHA): Gently exfoliates skin by accelerating removal of skin-dulling dead cells. Skin appears smoother and clears the way for renewed skin cells from within. Glycerine: Restores and enhances skin’s moisture level for softer, visibly plumper and younger looking skin. 12HSA: Works deep within skin to renew skin cells and adapt to the unique genetic framework of skin. Daily use luxe feel moisturizing Day Cream, which is the must have secret to keep them guessing what your real age is. Helps renew skin cells so fast, that age simply cannot catch up. Skin looks instantly brighter and youthful from the first application. Use daily to see truly youthful and radiant skin bloom from within, with visible reduction in wrinkles, fine lines, sagging and age spots. Does all the hard work while you sleep. Slather on this night cream and while you sleep, let Pond’s Age Miracle Deep Action Night Cream work hard to repair accumulated damage, promote cellular turnover and help your skin rejuvenate itself. Start the journey to a younger looking you with this extra moisturizing cleanser, that not just rinses off youth dulling impurities from the surface of your skin, but also helps prepare your skin for the goodies from Pond’s Age Miracle Cell ReGEN™ Day Cream. Accelerate the rewinding of time with this super concentrated formula, packed with 20 times the power of a day cream. For best results, use after thoroughly cleansing your face and revel in the silky luxe feeling, just before using Pond’s Age Miracle Cell ReGEN™ Day Cream. *Based on in vivo clinical test, 3x more subjects showing full stratum corneum turnover in 15 days versus untreated. You may also like reading: Republic Day OOTD!